North- and South America are not connected by any roads, between Panama and Colombia is about a 150km stretch of jungle, the so called Darian Gap. 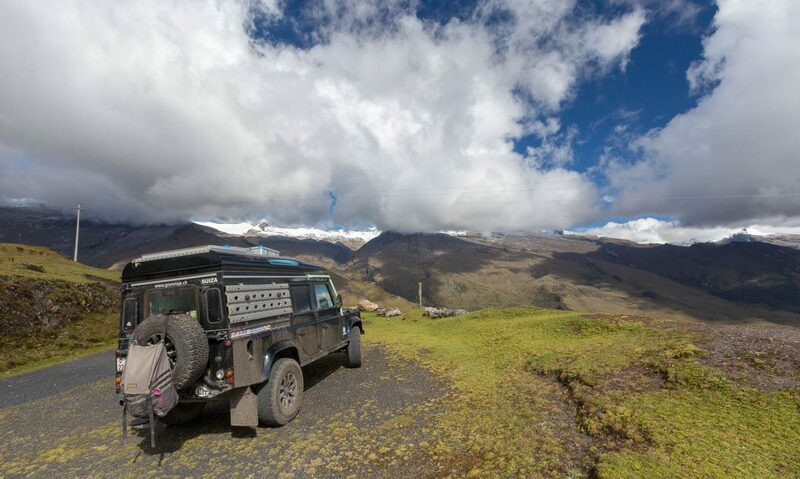 Therefore, we have to ship our Landy to Colombia. Before leaving Costa Rica, we stopped at a private Mirador (Viewpoint). The Mirador is run by a National Park Ranger and has two short but steep trails to a viewpoint. From there you have a beautiful view of the coast and with good weather we were told you can even see mount Chirripo. What we also saw on the hike were many green and black frogs, nearly completing our animals to see in Costa Rica list! The only ones we didn’t see were Quetzals, the elusive national bird of Guatemala we’ve been on the lookout for since months.